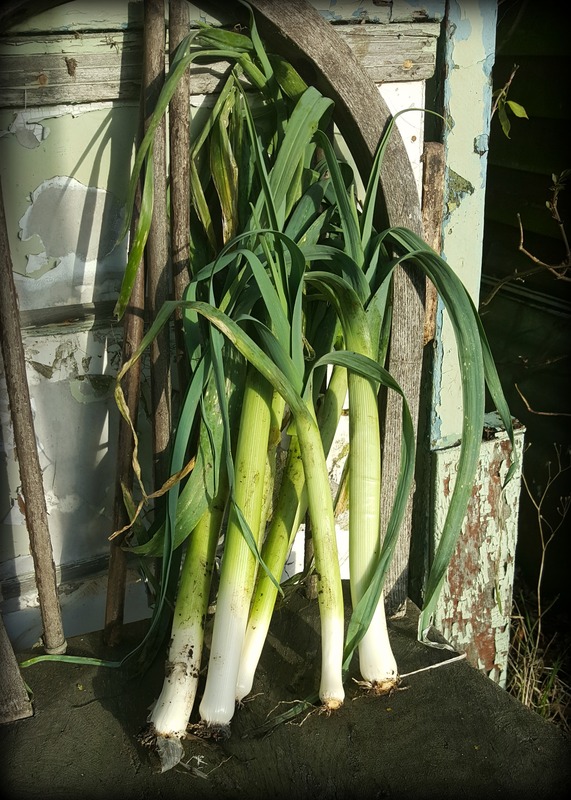 Ade dug up the last of the allotment leeks at the weekend. They’ve grown really well this season; we’ve had a steady supply of them for a couple of months which is great as they’re such a useful ingredient for warming, winter comfort foods. 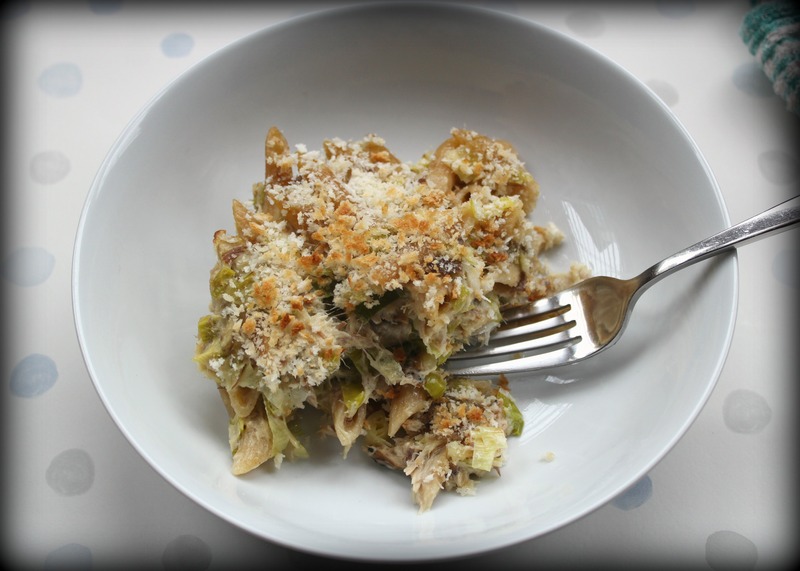 Here’s a recipe for a quick, midweek supper which can be made from scratch in half an hour and combines lovely, seasonal leeks with mackerel and pasta, all baked together in a creamy sauce with herbs fresh from the garden. Bring a pan of salted water to the boil and cook the pasta according to instructions. Meanwhile, in a larger pan, gently sauté the chopped garlic, sage and leeks in the butter for ten to fifteen minutes. When the leeks are soft, stir in the creme fraiche, flaked fish, horseradish sauce and add a squeeze of lemon. Turn off the heat and stir well. 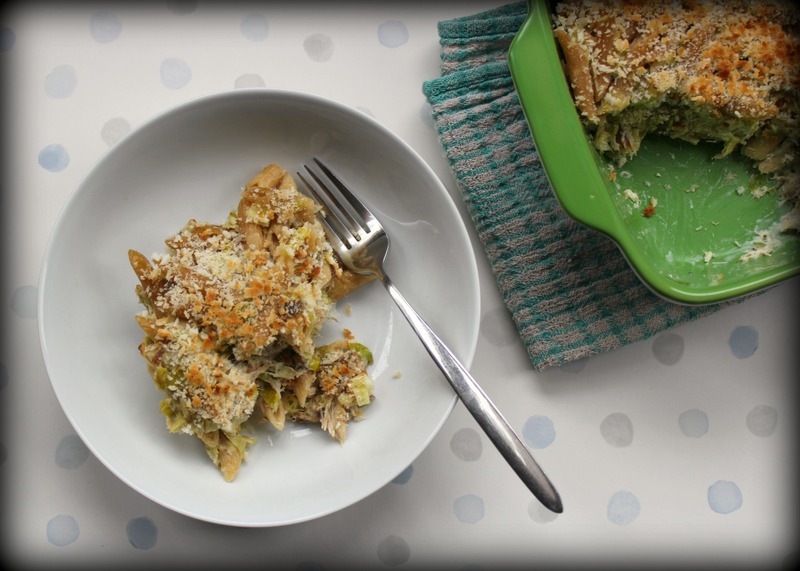 Tip everything into a baking dish, smooth the top and scatter with the breadcrumbs. Grill for about ten minutes until golden brown. Gorgeous. We just had it for supper. I loved the horseradish which was a good contrast with the oily mackerel. Thanks for the recommendation.